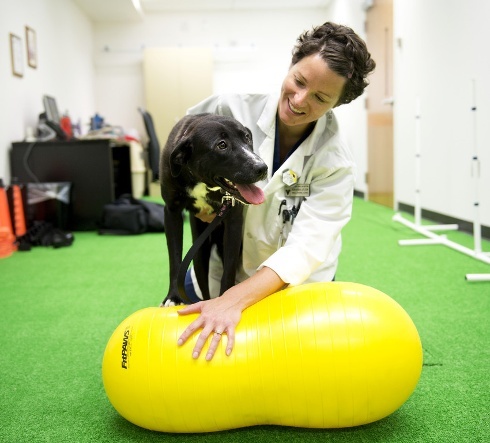 After surgery, an injury, or for pain management associated with medical conditions, it is important for our pets to have rehabilitative care and physical therapy. The goal of this type of treatment is to reduce any pain and discomfort and restore strength, mobility, optimal movement and normative function. Rehabilitative care, physical therapy and physiotherapy techniques can be used for orthopaedic injury and surgery, muscular and ligament strains and tears and the management of degenerative or chronic conditions such as arthritis and dysplasia. Therapy techniques can also aid your pet after amputation or nerve injuries such as paralysis. Most animal physiotherapists and rehabilitative carers will require a referral from a veterinarian before beginning most treatments. 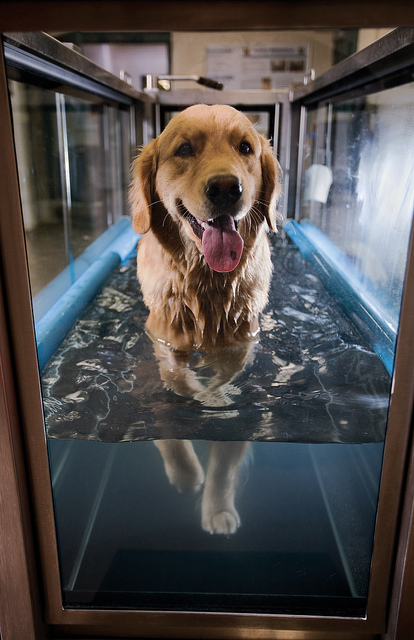 However, it is best that you speak to your vet first to see whether they advise physical therapy and if and when swimming or hydrotherapy will be appropriate. Your vet should be able to recommend suitable facilities and qualified practitioners. After approval is given by your vet, physiotherapy and rehabilitation should begin as early as possible and remember it is a complementary health program and not a replacement to veterinary treatment. Animal physiotherapists must hold a human physiotherapy degree and have then completed specialist animal physiotherapist qualifications. Generally, other practitioners have trained in rehabilitative care and physical therapy after receiving suitable qualifications in other veterinary fields. Unless a practitioner is recommended by your vet, ask about the practitioners qualifications, training and accredited memberships to organisations. Practitioners will consider the information provided by your vet about your pet’s surgery, injury and treatment history then thoroughly assess their pain level, range of movement, strength and the overall impact of the condition. From this assessment, they create an individualised treatment and exercise plan to relieve pain and discomfort, promote recovery and get your pet moving again. The practitioner will use precise, timely and gentle movement techniques and exercises. Early intervention and treatment can assist in reducing pain, swelling and joint stiffness, stimulate healing, strengthen and tone muscles, repair tissue and increase extensibility.